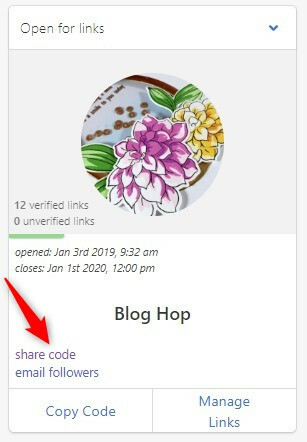 How to share code for InLinkz blog hops? 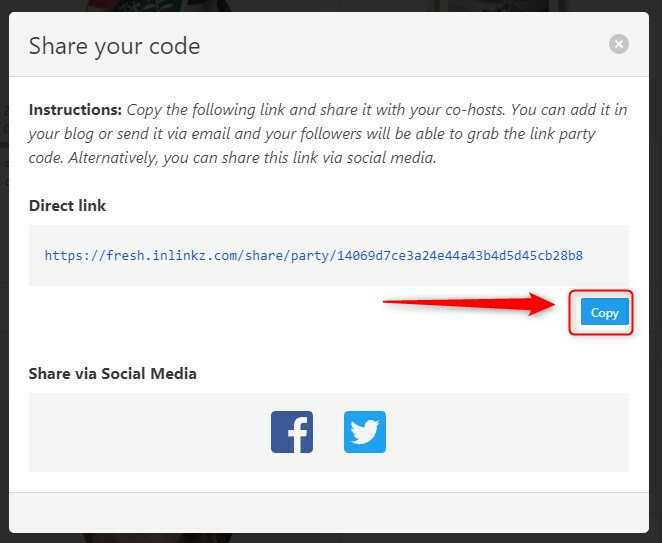 Once you have created a party on the fresh InLinkz, you can share it with your co-hosts by sending them a special link. Once your co-hosts add the code on their html editing mode of their blog, your link party will be displayed to their blogs as well. Please note: this link will enable anyone to host your link party, so take extra care where you send it to.